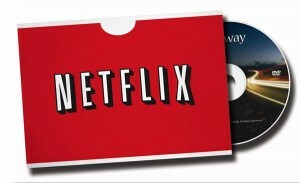 Movie enthusiasts will be happy to hear that they will be able to access more movies from Netflix soon. It’s not that the service has a shortage of choices. However, this move is necessary in order to remain at the head of the game. Internet streaming is definitely becoming the medium of choice for the average consumer, and Netflix is simply providing for the need. How is Netflix going to manage this? They’ve struck a deal with Epix, a company that holds the rights to films from Lions Gate, MGM, and Paramount. This pretty deal is going to cost Netflix a hefty $900 million over the next five years, money that is sure to come rushing back to them. What’s going to happen is that hit movies like “Iron Man” and “The Curious Case of Benjamin Button” are soon going to be available for streaming. Netflix is offering a package that combines streaming access and DVD deliveries for only $8.99. If there are going to be a whole lot more big titles coming Netflix’s way, then customers just might be flocking to avail of their service more and more. They’re not stopping here, though. It seems that they also have HBO (the main competitor of Epix) in sight. When this subject was brought up, Ted Sarandos (Netflix’s chief content officer) replied, “Every deal expires, and every deal has to be renewed.” Indeed. And, if they get the rights to HBO’s content, there really might be no stopping the company. As long as they’re offering reasonable packages, I don’t really see any problem. This program will reset the Microsoft DRM (Digital Rights Management) store on your computer. When you do a DRM reset, it’s not your pirated files that get revoked, it’s the ones that you already paid for that are at risk. I’m not allowed to watch low res Netflix files, even though I have the capability to download high def torrents? How does this even make sense? It’s as if the studios want their digital strategies to fail. We can only hope that situations like this force Hollywood, and other content providers, to wake up and realize the plain fact that most of us know already: Strict DRM only hurts honest customers, and it does nothing to prevent piracy. In their frenzy to lock down all of their digital content, they have completely lost sight of the fact that they are treating their customers like criminals. By making the legal means of acquiring content either too convoluted or unpalatable, it should come as no surprise that some consumers find it easier just to pirate what they need. As the music industry is slowly beginning to take note, the best DRM is no DRM. Hollywood needs to wake up and recognize this plain truth. After all, how exactly did Netflix expect Freeberg to copy the streaming film? Is that really an easier process than simply ripping the DVD to xvid? And how does simply getting a higher-resolution monitor justify the DRM freak out? Wouldn’t he have also been able to “copy” the streaming video with a lower resolution monitor? In the end it seems Netflix’s DRM certainly accomplished its job of not letting Freeberg copy the film. Unfortunately, it did its job a little too well leaving him with no content at all. Somehow, I find this to be a fitting metaphor for the many ills of DRM.